HPLIP 3.18.7, a new monthly release of HP developed Linux drivers for HP inkjet and laser based printers, was released a few hours ago. I use ububtu 18.04 LTS (Bionic Beaver) and was wondering if the HP In tank 310 is compatible. Your heading mentions fedora but will Ubuntu support it. 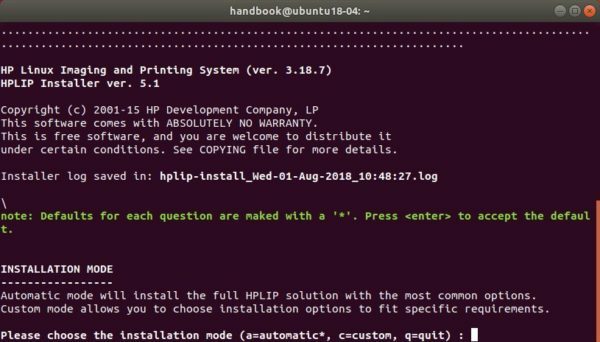 Ubuntu 18.04 (64-bit) is supported since 3.18.4 release, so your device will work on Ubuntu 18.04 with HPLIP 3.18.7.